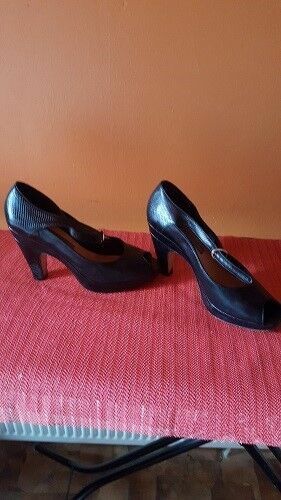 Well worn, Studio, Black with green trim, heels,size 4, genuine leather. womens shoes size 5 flat Lace Up. Studio TMLS Designer Animal Print Leather Tall Heel Court Shoes.EU 37 UK 4. Womens Gorgeous Silver Party/Dress Shoes By Studio TMLS. Size 8.